'Suicide Squad' Retail Poster. 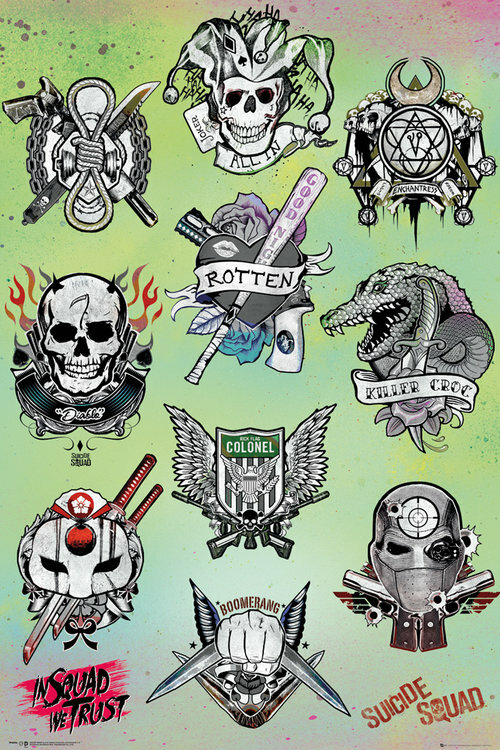 Featuring the tattoo designs from Harley's Tattoo Parlor. From GB Posters.. HD Wallpaper and background images in the Suicide Squad club tagged: photo suicide squad 2016 movie film tattoos tattoo harley's tattoo parlor poster retail poster merchandise.